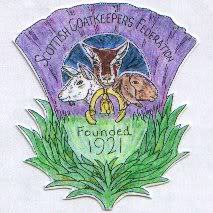 Although keeping Goats takes up a fair amount of my free time I also try to get involved with Charity work and next month on April 17th I will be undertaking a 100ft sponsored abseil at Dunrobin Castle in aid of CLIC Sargent. I have set up a sponsorship page at: http://uk.virginmoneygiving.com/DarylBrown where you can sponsor me and support the valuable work of CLIC Sargent in providing clinical and out of hospital care for children and their families affected by childhood cancer. I would be really grateful if you would consider sponsoring me. Well done you! Are you looking forward to it, or are you nervous? At the moment I am very geared up for it and buysying myself with ways to raise money; am packing bags in my local supermarket next week but I think on the day Ill be nervous. I think the most nerve racking part will be going from standing ontop of the castle wall and going over the edge, once your on the descent it looks pretty stable. I am expecting to get a great view from the castle; its right on the Sutherland Coast. Ill put some pictures up after the event.